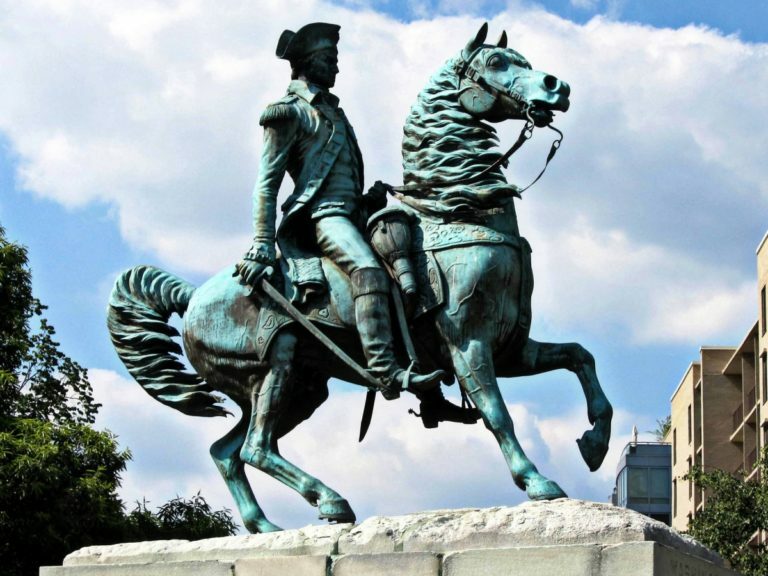 D.C. Ward 5 Councilmember Kenyan McDuffie on Tuesday introduced a bill to the D.C. Council to build eight new statues, one in each ward of the city, of accomplished women and people of color who were born and raised in the District. “D.C. is known for its statues and monuments. But the makeup of the people we honor doesn’t reflect the beautiful diversity of this city,” said McDuffie. Among more than 100 statues in the District, only about half-dozen are that of American women. Only one of these statues is that of a woman of color—Mary McLeod Bethune in Capitol Hill’s Lincoln Park. And just a single statue is of a D.C.-born person of color, Jazz legend Duke Ellington, which is located on Florida Avenue Northwest in Shaw. The bill has specifically recommended building statues of four female figures: Dr. Charles Drew, a medical researcher who developed groundbreaking blood storage methods; Rose Greely, the city’s first licensed female architect; Mary P. Burrill, a playwright and teacher at Dunbar High School; and the five Shaed sisters who were all teachers in D.C. public schools. The Commemorative Works Committee will select four more names for building their statues. The committee would make recommendations based on inputs from community and experts. The new statues are likely to be erected by January 1, 2030. “When women and residents of color and children walk around D.C., it’s critical that they see images of themselves,” said McDuffie. An earlier version of the bill introduced by McDuffie in 2017 didn’t make it to the D.C. mayor’s desk. Last year, a committee was also set up by D.C. Mayor Muriel Bowser to erect a statue of D.C. native Charles Hamilton Houston, the former dean of Howard University Law School and an important figure in the dismantling of Jim Crow laws. The city had last year allocated $300,000 in its budget for this project.